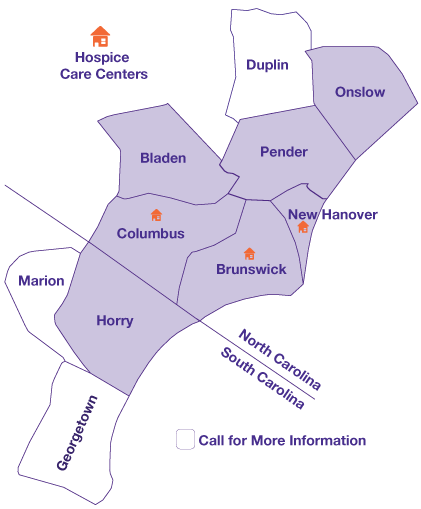 Lower Cape Fear Hospice serves our patients wherever they are, regardless of if it’s at their home, an assisted care facility or in the hospital. 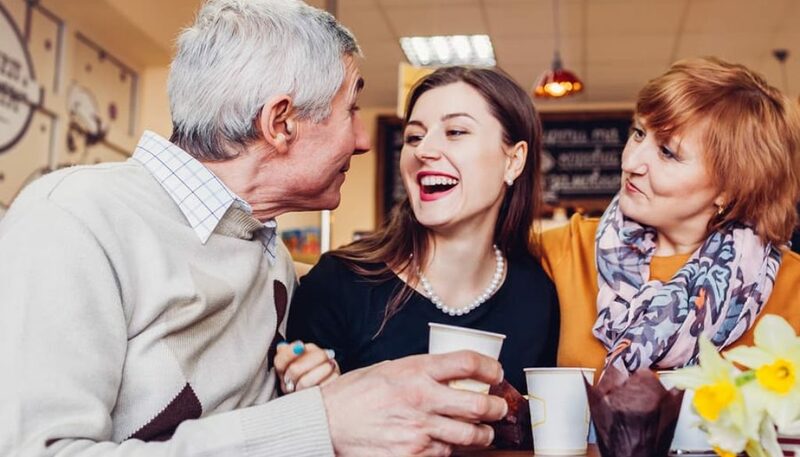 We want our patients to spend as much time surrounded by their loved ones as possible, and often, patients wish to receive care in their home. However, sometimes their needs cannot be met at home. That’s why we created our Hospice Care Centers. These centers offer pain management, medical expertise and emotional support needed to help our patients and their families through this difficult and challenging time. First-class care. Staff were amazing. I wouldn’t hesitate in telling someone, if they needed a hospice, to go there. We were very well taken care of and the care center was super clean. Also, groups donate food for the families daily to a very nice kitchen. Our Hospice Care Centers reflect the dedication to excellence and compassion that guide us every day as we make a difference in the lives of our patients and those who love them. We consider it a privilege to serve our community and wanted to provide some information on things you probably didn’t know about our care centers. 1. Our centers have full-time physicians. In fact, we are the only local hospice to have full-time physicians on staff, and we’re proud to extend this service to our Hospice Care Centers where you’ll be seen by a doctor who is an active partner in your care and works with closely with the entire team. Many of our doctors have specialized training in hospice care. 2. Our centers have private rooms. We understand that hospice care is an intensely personal experience, and we want to be able to honor and respect the privacy and dignity of every patient. These spacious private rooms have plenty of space for visiting family, including space for them to spend the night. 3. Our centers have an extensive array of therapy programs —including music and pet therapy. Studies have shown repeatedly how important therapeutic programs are for patients at any point in their hospice care journey, particularly music and pet therapy. We’ve found that Callie, one of our therapy dogs, always brings smiles to the faces of our patients, family members and visitors. They look forward to her visits and enjoy the companionship and unconditional love she gives. Callie is one of the many ways our Hospice Care Centers listen to the needs of our patients and respond with compassionate intervention. 4. There’s probably a Hospice Care Center near you. You can take a look inside our care centers and see how they provide a serene, home-like environment for our patients and families. 5. Our centers provide short-term, intensive, continuous inpatient care. We realize there are times when treatment at home or at a hospital aren’t appropriate. That’s why we established these centers to help our patients who need short-term care. Lower Cape Fear Hospice provides superior treatment plans and many other qualities that separate us from other area hospices. For example, in a national caregivers’ survey, we scored higher than the national average in all eight categories, which included treating patients with respect and providing emotional and physical support. 6. Every room has a private bathroom. We strive to create a professional health care environment that is as home-like and comfortable as possible. 7. Our centers have gorgeous landscaped courtyards and gardens. Many of our patients have been gardeners and appreciate the beauty and relaxation that comes from being in nature. We have gorgeous outdoor areas available for our residents and visitors to enjoy. 8. Our centers feature shared family kitchens filled with Meals of Love. The kitchen is the heart of the home. It’s where many memories were created, recipes shared, and some of the most treasured moments were often spent. We’re glad to offer a family-style kitchen at our care centers. It’s stocked with food from Meals of Love. 9. There are prayer and meditation rooms. We know caring for the whole patient means caring for spiritual needs as well. We’re pleased to not only have chaplains on staff, but to offer prayer and meditation rooms for the comfort and convenience of our patients and their families. 10. There is free grief counseling and grief group counseling available. It is hard to convey the pain and anguish that comes with losing someone you deeply love. Our professionals and chaplains will work with you to help you work through this pain, where we offer a wide variety of workshops focusing on coping with the death of a child or parent and dealing with the loss of a partner. No other hospice provider in our region offers the level of care found in our Hospice Care Centers. In addition, depending upon availability, our centers can provide families with respite care so caregivers can have a much-needed break. In addition, we are available 24/7 to help our patients and their families during a crisis or critical situation. A patient can be referred to hospice care by anyone: their physician, a family member, or even by the patient themselves. For information to find out how to help someone you love get the care they need, please complete the referral form today.